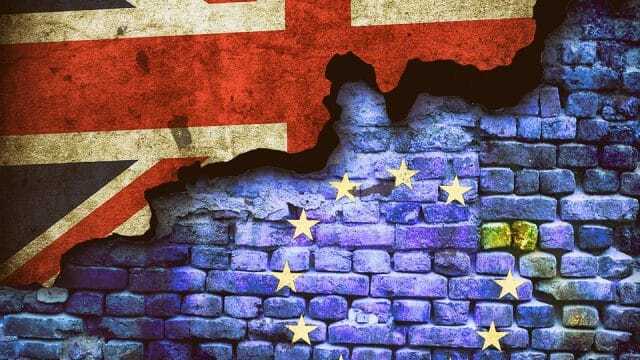 Talks in Brussels have only just gotten going, but some impacts of Brexit are already being seen, and leaving the EU is likely to impact the construction industry in three key ways. The biggest Brexit-effect is likely to be a worsening of the existing skills shortage in the industry. As careers advisor Prospects explain, while investment in construction projects has risen dramatically, the workforce isn’t enjoying the same level of growth – a subject we’ve blogged about earlier this year. Far too few apprentices and graduates are entering the sector, a situation worsened by the fact that almost 400,000 current employees are expected to retire over the next decade. And according to figures from The Royal Institution of Chartered Surveyors (RCIS), the professional body that accredits professionals in the property and construction sectors, 8% of the current UK construction workforce comes from the EU. This raises concerns that if the UK loses access to the single market following Brexit, 176,500 jobs could be under threat, exacerbating the skills shortage. And 30% of construction professionals surveyed by the RICS revealed that hiring non-UK workers was important to the success of their businesses. Findings from the Construction Industry Training Board concur that employers are concerned about retaining their existing non-UK workforce post-Brexit. ‘Labour pinch points’ are expected, particularly in London and the South East, because almost half of London firms say they are dependent on non-UK labour. Employers outside London could experience a knock-on effect of skills shortages if reduced access to non-UK labour means the capital and the South East draw in workers from the rest of the UK. For these reasons, RICS has cautioned that for Brexit to succeed, continued access to the EU Single Market should be maintained or alternative plans put in place to bolster the future of the workforce. In last week’s budget, Chancellor Philip Hammond promised an extra £34 million to ensure a workforce to deliver the increased target of 300,000 homes per year built across the country. 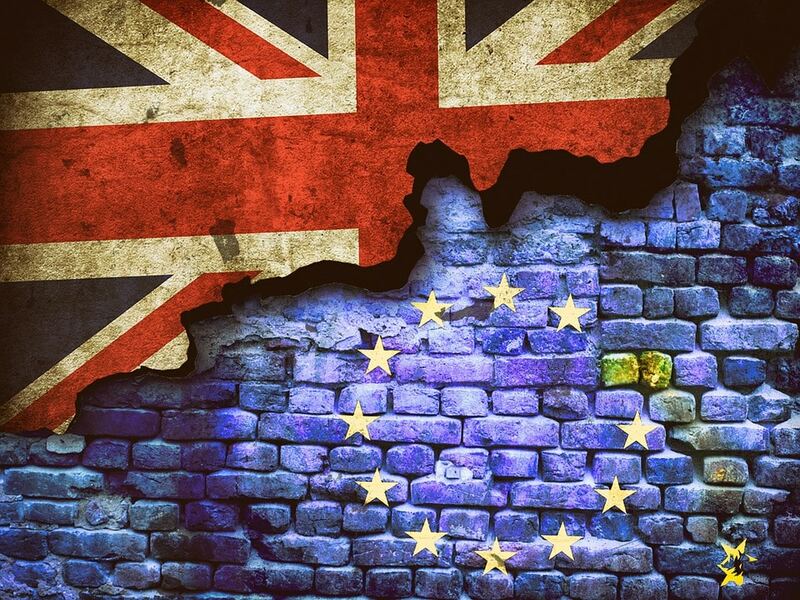 The CITB research shows that 12% of employers have noticed rising costs as an impact of the Brexit vote already, and over the next few years 1 in 8 expected a slowdown in the economy and 1 in 10 expected increased costs as a result of Brexit. EU membership has meant the free movement of goods in Europe, eliminating taxes and other restrictions, which has benefited the construction industry. Once Brexit happens, importers and exporters may face duties or limits on quantities, which could lead to a shortage of construction materials or an increase in costs. Whilst the deal is still being thrashed out in Brussels, it’s not clear whether Brexit might see the UK government impose tariffs on cheap imports from abroad, or even stipulate the use of UK firms and materials only’, supporting UK-based and enterprises. On a positive note, following Brexit, Britain may be able to negotiate and develop its own trade agreements with the EU and other large importing companies, such as China and the USA. Plus, the general thought is that leaving the EU will see a reduction in the ‘red tape’ that comes along with membership. As EU members, the UK has seen €7.8 billion investment in major infrastructure projects, and €665.8 million lent to SMEs, by EU institutions, in 2015 (source: RICS). With Brexit, these funding streams will be lost, and this is likely to impact upon start-ups in the industry, as well as large infrastructure projects. The Government may plug the gap, using money saved from EU membership, but in a continuing culture of austerity, this is far from certain. As with all things Brexit, a large dose of wait-and-see is needed before the extent of the impact on the construction industry will become clear. But being aware of the aspects likely to be most affected can only help when preparing for the bumps along the road to March 2019 and beyond. We’ve all seen those videos that have gone viral of forklift operators crashing into large scale warehouse shelves and creating a domino effect of objects come crashing down. Yes, this may have been a temporary lapse in concentration – but it goes to show that forklifts can be dangerous in the wrong hands and this normally shows business owners why forklift truck training is essential, no matter the circumstance. In the UK, there are many different locations in which a forklift may be required, whether a distribution centre, construction site or industrial factory. With an abundance of forklift trucks, they can become a huge hazard in the workplace. In the UK alone, forklift trucks cause a death every six weeks and cause 24% of workplace injuries. Learning how to competently control the forklift is an essential part of operation. Without knowing how to manoeuvre the vehicle, it could easily result in a fatal incident. 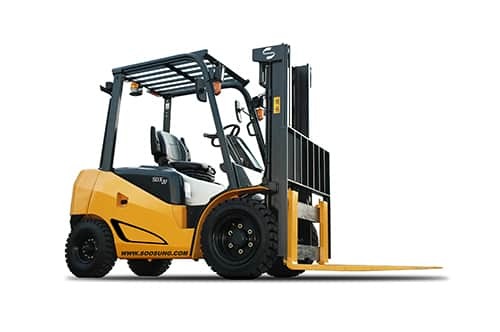 Looking at a forklift, many think they would know how to use it. However, due to the sensitive steering which makes it a durable addition to a warehouse, they can be much harder than first imagined. Therefore training is absolutely vital before trying to operate one. It may seem like a self-explanatory point, that manoeuvring the vehicle should be done carefully and with other employees in mind. However, to some, this isn’t always the case. It is a shocking revelation that many workplace injuries involving forklifts are not self-inflicted and are caused by negligent behaviour of drivers themselves. There have been numerous occasions where the improper use of forklifts has led to serious injury. In one case, a wholefoods worker used the prongs of a forklift to stand on. After losing his balance and falling to the ground breaking numerous bones in his body, he sued the company for more than £100,000 in damages. Now you’d think that it was unfair for the company to be sued damages for something that was the driver’s own fault? Well, if they had put the 26-year-old through the correct training on how to use a forklift safely, they wouldn’t be liable in the slightest – however, they didn’t, so it was assumed he knew no better. These aren’t the only reasons why forklift training is essential but they are the most important ones. No matter how competent you feel before training, it’s always important to go through forklift training to ensure that you know EXACTLY how to operate the vehicle and in which way. In 2015/16 in the UK alone, 621,000 workers industry-wide sustained a non-fatal workplace injury and 144 workers sustained fatal injuries at work. With this being said, the modern workplace can be a dangerous place to work. As a standard in many UK industries, the Health and Safety Executive recommends implementing controls to reduce the risk of incident, however, when this is not possible in its entirety, personal protective equipment (PPE) is required. In the construction industry, the use of PPE is extremely prevalent as although many regulations are put in place to reduce the risk of construction sites, it can be an unpredictable place to work with falling debris and heavy plant machinery in many cases. 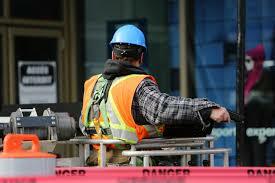 The most popular PPE is the use of hard hats, eye protection, steel toe-capped boots, high visibility vests and gloves. Although these may seem to be an inconvenience when it comes to jobs that ‘only take a few minutes’ they can ultimately end up saving your life or reducing serious injury. It’s essential, for this reason, that employees are trained in the correct maintenance and storage of PPE and exactly how to use it. This ensures that employees wear the equipment exactly how is required. Always consider the size of the end user – choose PPE that is an appropriate fit so that you can ensure maximum protection for your employee. Train employees on how to use equipment safely – such as removing goggles without contaminating skin, etc. At the end of the day, investing in PPE is absolutely essential and in accordance with the law. It also could make the difference between going home healthy and going home in ill-health or worse. It’s no secret that the overall majority of construction workers are men. With women making up less than 20% of the complete workforce. A number that has, surprisingly increased in the last ten years. It’s time to promote the advantage of women in construction. When we’re told to envisage a construction worker, there is a stereotype that instantly springs to mind of a man in a high visibility jacket with trousers lower than they should be. But this isn’t the case at all. Perhaps 20 – 30 years ago, but in an expanding technological industry this couldn’t be further from the truth. On many construction sites, laborious jobs have been replaced with controlling lifting machinery. And many practical jobs have been replaced by technological jobs, sparking the brain versus brawn debate of what is needed in the expansive industry. The UK itself has the lowest number of women in the construction industry, at 12.2% compared to Germany’s 15% and Sweden’s 25%. Yet half of the UK’s population are women, surely this number should be properly proportionally represented in the number of construction workers? To ensure that the number of women in construction continues to rise and to allow women to be proportionally represented, we need to go back to where it starts: school. Not only is there more than 10% less girls taking STEM subjects than boys, many are not encouraged to take up apprenticeships when school finishes. As a sector, we need to promote the positives of the industry and encourage young women to take an active role in looking into the construction industry as an option for future progression. It’s about removing the negative stereotype and inviting women to become a part of a constantly innovating and growing industry. But this isn’t just the women who are missing out, the construction industry needs to hire a total of 200,000 workers in order to keep up with the demand for construction workers. It is clear that to meet the skills gap and see people succeed, we need to get a lot more men and women on board at an early stage. There are numerous campaigns both government and non-government that are encouraging women to take up construction jobs. If you want to make a difference and hire more women in your business, it may be worth going into your local school and offering to talk to students about the opportunities that are available to men and women. Working at height can occur in many different industries around the UK. From window cleaners to electricians, there are high places that need to be reached. But are you managing the risks effectively and preparing for if the worst happens? 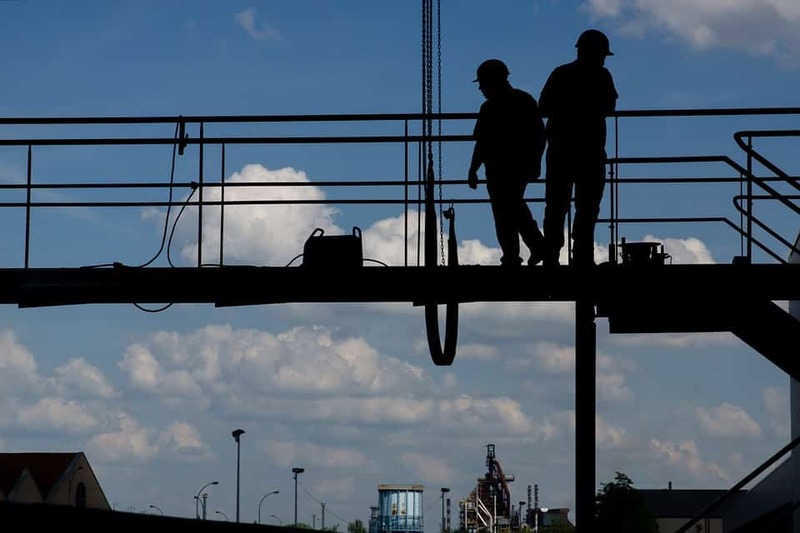 If your business or job involves working at a height that if a fall occurs, it will cause personal injury, you need to be aware of the health and safety involved. In 2015, 29% of all workplace fatalities came from falls from a height. Incomplete Scaffolding – it is important for scaffolders to secure scaffolding and walkways effectively or they can become loose or insecure. Make sure your workforce are fully trained and competent enough to work at a height. As well as fully supervised. Assess whether there is a way to do the work without getting to a high area – in a lot of cases this is not possible. Provide the right equipment for working at a height and ensuring this equipment/apparatus is effectively maintained. Plan ahead – make sure all of the work completed is planned and risk assessed. Whilst working at a height, it can be very easy to reduce the chance of a fall taking place, if not completely eradicate it in some instances. However, there will be certain times when the risk of falling cannot be eradicated, this is when the safety equipment that should have been supplied to them works miracles, protecting their head from being damaged, as well as elbows and knees. You will also need an action plan that stipulates the actions of what to do when a fall does occur or is imminent. For many businesses, this is to leave the person still and call for medical assistance at the soonest opportunity. Despite doing things to limit the risk of people falling off roofs, ladders, gangways, platforms and other high up places, it is essential that the employees carrying out the job are also competent and fully trained in working at height. Here at UK Industries Training, we offer training courses geared around working at heights, which can be transferred to many different industries. How Important is Site Safety? In recent years there are many people who believe that the world has gone ‘health and safety crazy’. However, it’s vital that construction workers on site are briefed on the importance of health and safety and what it means for them. In 2016, the number of fines that firms were made to pay out rose dramatically, with over £61 million paid out by companies across the country, an increase of 148% since the year before. And the average fine that was paid out rose from £69,500 to £211,000. For those working in a construction setting, cables, heavy plant machinery and manual machines are common place. Despite being a necessary part of the job, these machines can turn against you in a moment’s notice and become seriously dangerous if in inexperienced hands. Here at UK Industries Training, we understand that individuals need training in order to deal with the machines that they are handling on a daily basis. We provide training courses that range from forklift safety to confined space training. Everything you could need to be able to work efficiently and safely on a construction site. On a construction site, there are numerous other things that can be done to limit the amount of injuries or accidents that happen at the workplace, but making sure people are competent and well-trained is a huge advantage. The most common risks that are posed on building sites are the huge variation of heavy plant machinery that is there. As well as that, many construction sites require tradesmen to work at height. 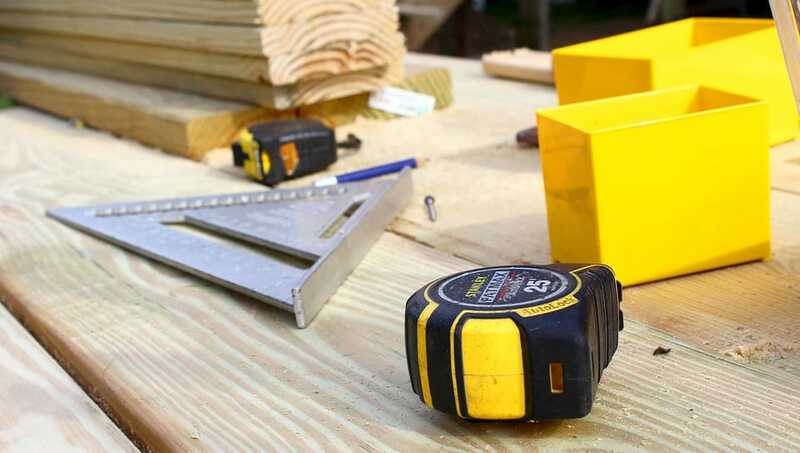 If you’re a construction company owner or manager and have responsibility for the overall health and well-being for all of the tradespeople on site, it is recommended that you take a health and safety course as well. What’s the use in implementing safety procedures if you aren’t aware of what they mean? We have numerous courses that managers can take as well as employees of the business. To view our range of courses visit our training courses page and make sure that your workforce is up to date with all of their skills to ensure your business isn’t falling behind on health and safety. UK Industries Training has experienced its busiest month since they started trading thanks to new courses boosting interest in their business. 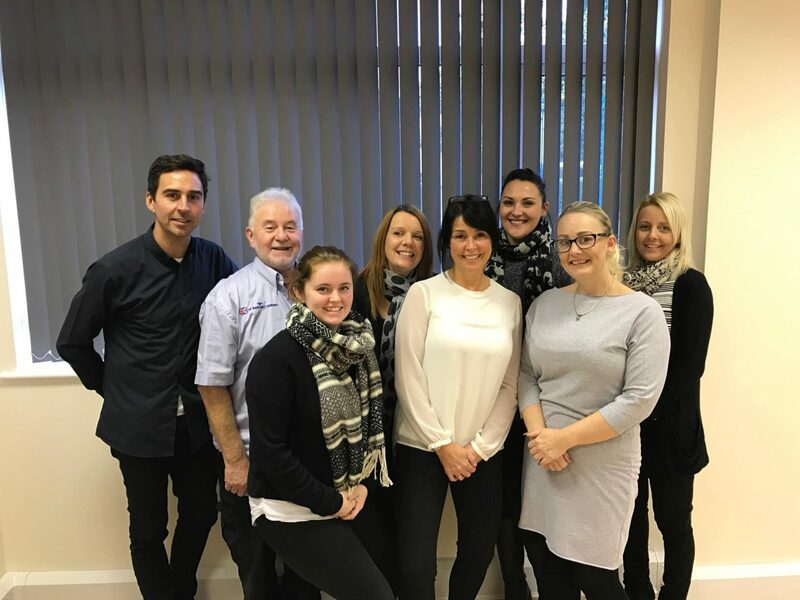 Specialising in training courses that teach relevant skills and knowledge required to work on construction sites, November saw more than 500 people booking onto classes that the company offers. Once they gain the qualifications, professionals are then able to start working on construction sites straight away. UK Industries Training is one of the only centres in the UK that offers the option to sit the course and test on the same day to make this process quicker. Part of the UK Tool Hire franchise, the company now offers over 40 courses, all completed in-house to help get people working on site quicker. 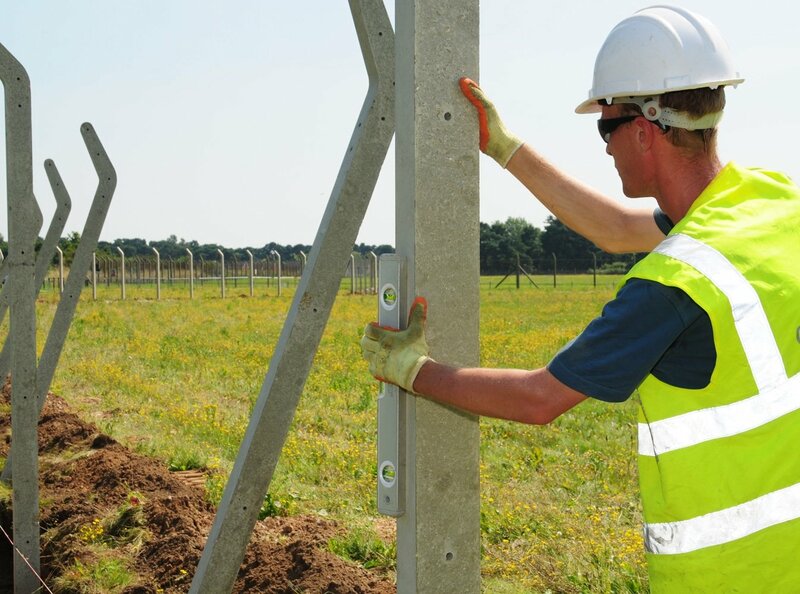 John Wilkinson, Managing Director of UK Industries Training, said: “Usually, once the Health and Safety Awareness Course has taken place it is hard to find somewhere quickly and in a convenient location to sit the CSCS Computer Test, resulting in a long wait before people can start working on site. At UK Industries Training you can do both the Health & Safety Awareness Course and CSCS test same day saving customers time and money. Popularity of these courses is now set to make UK Industries Training the biggest provider of training courses in the East Midlands, as the company creates more skilled workers and hopes to drive the local economy in the process. Based in Nottingham, their training centre hosts popular industrial training and construction courses including IPAF and PASMA training, Driver CPC training, CSCS training, as well as a number of health and safety courses. The company aims to raise awareness of actions in the work place, on-site conduct, and places emphasis on responsibilities to ensure both individual and team safety. A crucial element of safe forklift truck operation is the completion of proper pre-use inspections. 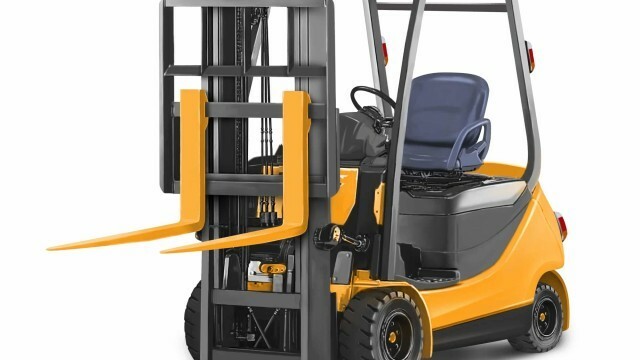 According to the UK Health & Safety Executive (HSE), over 18% of lift truck incidents occur as a result of mechanical failure, which could be avoided by a pre-use inspection. During the International Operator of the Year 2016 testing stage, data showed that 65% of operators tested did not know how to complete a pre-use check correctly. As a manager or supervisor of operations, it is your duty and responsibility to ensure that all of your workers are fully aware of what they have to do when undertaking a proper pre-use inspection. The RTITB has released 7 key considerations for you to look out for. The point of pre-use inspections is to identify small problems and stop them from becoming bigger. 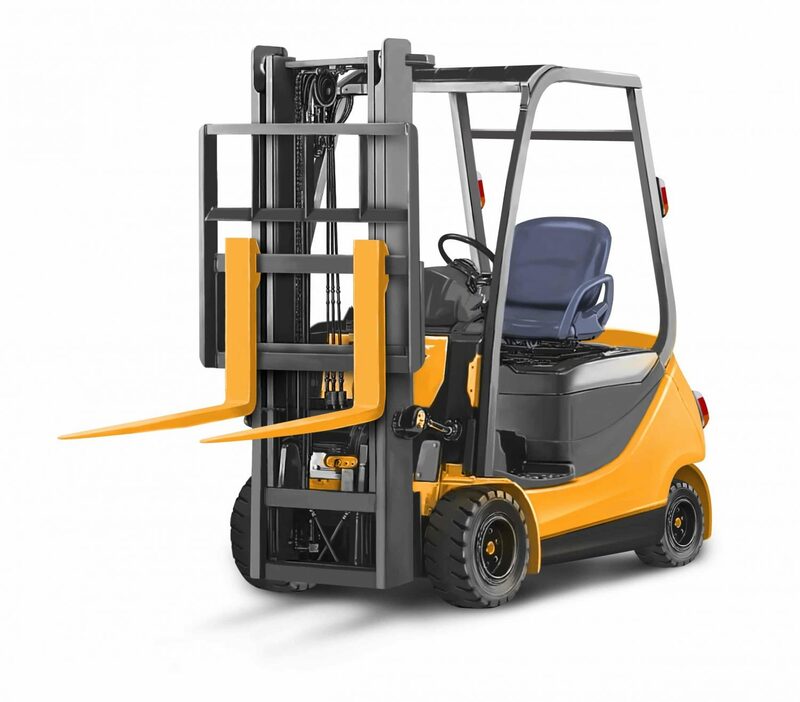 Counterbalance lift truck drivers should not be expected to be forklift truck engineers, but instead should simply know how to check the general working parts of the truck for signs of damage or wear. This allows any potential issues to be reported so that they can be dealt with by an expert, and helps prevent trucks from becoming unsafe or needing to be removed from service completely. Even if a lift truck has already been checked, a pre-use inspection should still be undertaken before the next driver wants to use it. Something could have happened to the truck to damage it or make it unsafe while it has been in use, and unless it is checked every time, this will be missed. Training on how to use powered access safely and effectively is essential in this industry, and companies should assess how frequently checks take place and ensure that operators know that it is their responsibility to complete them. Counterbalance lift truck operators may not realise that by failing to carry out a pre-use inspection they may be breaking the law by failing in their duty of care to themselves and to others. Staff members need to be trained to industry standard to ensure this is avoided at all costs. Not every truck is the same and companies with several different types of truck may be tempted to use a generic pre-use inspection check sheet for all vehicles. To ensure safety, a specific pre-use sheet should be used for every type of truck and cover all the major parts that should be checked. For example, an operator using a diesel truck will need to check a different starting procedure than those using an electric counterbalance truck. Every manager should have an understanding of their responsibilities when it comes to health and safety. It is vitally important that they ensure that pre-use checks are carried out correctly, and supervisors and managers understand pre-use checks themselves in order to assess whether the correct procedures are being followed. Although pre-use inspections are covered in counterbalance lift truck operator training, a recent RTITB test showed that this is the area in which drivers are performing most poorly. With industry rules and regulations constantly changing, ensuring your staff members are all up to date on health and safety when operating forklift machinery is vital. Sometimes with so much to consider, operators can forget fundamental safety principles when conducting a pre-use inspection, particularly not wearing personal protective equipment. Operators should ensure they remember their basic skills and operate safely, even when doing a pre-use check. We run a number of training courses to promote the importance of safety in the workplace. Our IPAF Training provides information on how to use powered access safely and effectively, and runs from our training centre in Nottingham to any location in the UK. Our PASMA training course is the lead trade association for the mobile access tower industry, providing and overseeing the industry standard training scheme. We are now also pleased to be offering CSCS training at our training centre, to ensure that your team is kept up to date on health and safety in the workplace. 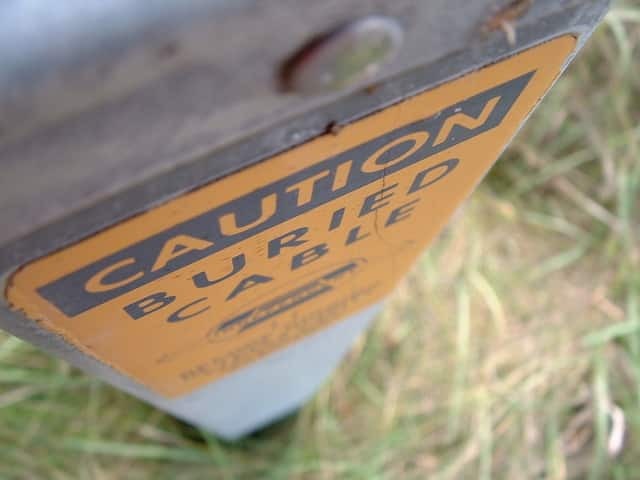 Are you safe when working around cables? The work of an engineer is often both complex and fraught with a number of hazards and difficulties – and the work of an electrical engineer is perhaps more so than any other. After all, much is expected from the people who repair and supply our electrical equipment – we expect our systems and supplies to work without a hitch, and that we are to be safe at all times when using them. It’s a reasonable expectation – but so, too, should an electrical engineer expect to be safe when working with and around equipment and avoid cabling that may be considered harmful in a number of different circumstances. Anyone working closely with the supply and maintenance of electricity or cabling should always be trained thoroughly and should be confident in their ability to fix, maintain and supply wires and electricity networks of varying lengths and complexities – meaning that all electricians and engineers should carry a form of accreditation before they even consider undertaking any public work or that on behalf of a private firm. The dangers of working with cabling and generators are fairly easy to understand – but it is understanding that is needed in order for such equipment to be used safely and effectively. Cabling comes in all lengths and forms, meaning that it is important for electrical engineers to take responsibility not only for the work they carry out, but also for any protective clothing required of them. After all, there is not just the health and safety of the public to consider, but also their own wellbeing – and a stray wire or loose cabling could pose a risk to even the most diligent of electrical engineers. Standardised training and guidance is highly recommended for electricians at all levels and stages of their respective careers, as it allows for national safety guidelines and approved precautions to be rolled out across everyone likely to be working with high-risk electricity supplies. You may be confident with working around cables and generators – you may even be well-versed in electrical engineering – but there is more to training than simply understanding how to effectively operate certain equipment. It’s also a case of understanding your responsibility and your position in ensuring public safety as well as your own. Do you know how to safely set up a new generator, to fix cabling or to ensure that an electricity supply is fit for constant use until its next safety check? Regardless of your level of confidence or experience, it is never too late or too early to ensure that you are versed in what is expected from you in your role as an electrical engineer. UK Industries Training provide a host of thorough, industry-approved training and learning standards that will ensure that you can carry out electrical maintenance and supply both safely and responsibly, and above all with confidence – for more information on the courses we offer and the ad-hoc training that you can sign up for at any time, call us today on 0115 880 0188 or email us via web form and we will get back in touch with you as soon as we possibly can.